Ever wonder how you get MS Office applications to display their entire full menu by default, instead of forcing you to click the arrow at the bottom or waiting? This can be accomplished through checking a setting called Always show full menus. Once set in one Office application, it makes the change for all Office applications. 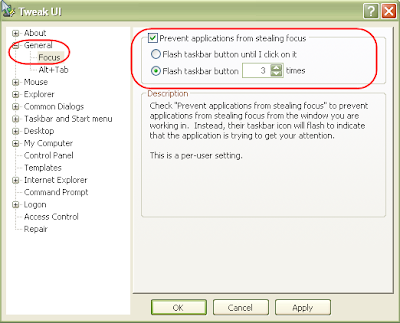 You will find the option under Tools | Customize..., then the Options tab. I recently replace a hard drive and wanted to reset my preferred behavior for how My Documents opens. 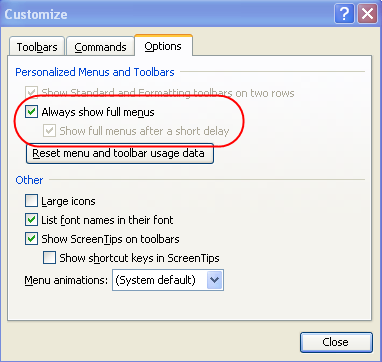 The default behavior for double-clicking the My Documents Desktop icon on a new Windows XP install is a single-pane "My Computer" view, and I prefer the two-pane "Explorer" view. If you right-click on My Documents and select Properties, the Properties dialog box will open on the Shortcut tab. By updating the Target field, you can change the behavior of how the window opens. 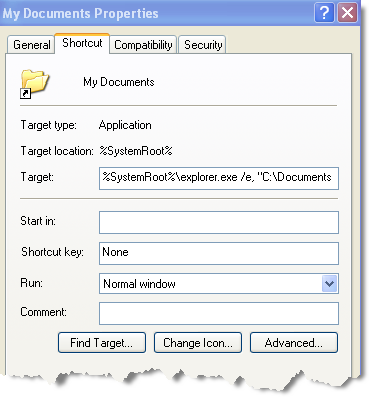 Default value: "C:\Documents and Settings\ctodd\My Documents"
Two-pane value: %SystemRoot%\explorer.exe /e, "C:\Documents and Settings\ctodd\My Documents"
Seems like whatever application we use, it's never fast enough for us. And of course in today's computer world, all our applications are on the network, which is just one more bottleneck. Well if you're browsing the Internet, it can now happen faster. I have found 3 options for improving the performance of Firefox -- choose 1 based on your level of expertise. Option 1. For the person who just wants their computer to work, there is FireTune from Totalidea Software. 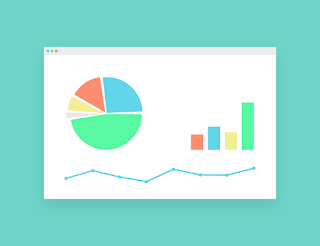 Totalidea Software has created a small application that will backup and modify your Firefox configuration to optimize the performance of the browser. You tell it if you have a fast or slow computer and a fast or slow Internet connection, and FireTune will do the rest. 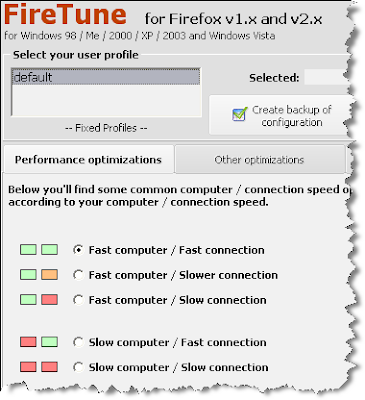 In addition, FireTune offers some additional optimizations (Other optimizations tab) that should improve the performance for all Firefox users. The FCC held a hearing on Network Management at Harvard on February 25, 2008. Under scrutiny is Comcast's practice of blocking BitTorrent P2P traffic. Comcast claimed to only delay P2P traffic during congested periods -- but they are accomplishing this "delay" through terminating the P2P traffic. This "delay" of the P2P traffic is counter to the service Comcast sells its customers -- Comcast sells a throughput rate ("...4 times faster than 1.5 Mbps DSL,...") for upload and download of Internet traffic, regardless of protocol being used. You can visit the FCC site to view the entire hearing. 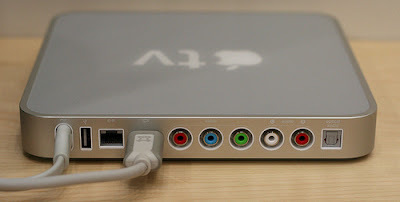 I hooked up my new Apple TV on Wednesday, and have had a great time exploring all the content that it has opened up. Actually all the content was already available, but now I am spending the time to view it, because I can view it from the comfort of my favorite chair. And it took more no more than 5 minutes to get going. I like that I can easily view my favorite video podcasts (or listen to the audio ones) with just a few clicks on the remote. In addition, I can explore the iTunes store for new ones. Thinking about traveling to Europe? The checkout Rick Steves' video podcasts. Perhaps you want to see highlights from the Discovery channel, but don't have cable or satellite TV. No problem, there are video podcasts for that too. I first mentioned Skype in May of 2006, and wrote about it a year later when I switched to Skype as my primary home phone. Though Skype has been great, I've gotten a little frustrated by being stuck to my computer to use the service (thanks to no T-Mobile signal for my cell phone in my new apartment). Thanks to my new Creative Internet DECT Phone I can now use Skype anywhere in and around my apartment. My new Skype phone was very easy to setup and start using. The first thing I liked was that the handset recharger (using the included rechargeable AAA batteries) is separate from the base station that connects to my PC (via USB). The handset is supposed to work for 10 hours of talk time or 120 total hours between charges, but I have yet to have a reason test that out. It was great to hear that the FCC is investigating Comcast for its disruption of BitTorrent traffic, but the developers of BitTorrent are not going to wait for Comcast to change its practices. The Developers of BitTorrent are building a new encryption layer that will work against Comcast and other ISPs techniques for killing the BitTorrent traffic on their networks. David Downs wrote an excellent article in the San Francisco Weekly that describes BitTorrent and how Comcast was thwarting BitTorrent traffic. Downs describes a visit from Peter Eckersley, a computer science Ph.D. candidate at the University of Melbourne, who works for the Electronic Frontier Foundation. Using Whiteshark, network monitoring software, Eckersley was able to show how Comcast was spoofing both ends of the BitTorrent communication to discontinue the BitTorrent file transfer. Ellen DeGeneres showed us just 2 weeks ago how far technology has come. Use the Hawaii Chair at work, and get in shape while you work. Don't believe it? Checkout Perfect USA where you can get the Hawaii Chair for under $300. If you bought this chair, I have a bridge for sale that you would be interested in. Many of us are users of instant messaging (IM), whether through AIM (AOL), Yahoo! Messenger, ICQ (AOL), and even Sametime from IBM. We have also learned how to combine our IM clients into one interface using Trillian (Cerulean Studios) or Pidgin (open-source). But what we haven't learned is what do all the various emoticons (combination of symbols used to convey emotion in text) mean. Now you have no need to search further, as I have listed a few of my favorites here, and some links to sites that list several. Sharpened GlossaryWikipediaSearchMobileComputing.comA word of warning: Be cautious of programs that will give you graphical emoticons for your IM and email, as many load spyware when installing and monitor your Internet activities. I found two new Firefox Extensions that are real practical, FoxClocks and Forecastfox Enhanced. During this time of year, the weather changes frequently, and what may be freezing on the west side of the city may be above freezing on the south side. With Forecastfox Enhanced, I can get a look at the forecast and weather radar for myself. Forecastfox Enhanced gets its weather feed from AccuWeather.com. You can run Forecastfox Enhanced in several different ways including in the browser status bar or in a toolbar. When displayed, you can configure it to give you more detailed information by simply hovering over the top of the forecast. It also quickly shows you an updated weather report automatically each time it is updated (time between updates is adjustable).